Civilized Worldwide, the parent company of Civilized.life, hired Howard Bragman's agency last month. LOS ANGELES: The parent company of Civilized.life, a digital lifestyle publication focused on cannabis culture, has named Fifteen Minutes as its AOR. After meeting with several agencies, Civilized Worldwide closed the deal with the Los Angeles-based shop in July. Negotiations began in June, when the company approached Fifteen Minutes managing partner Ryan Croy. The deal is worth mid-five figures for its six-month term. Fifteen Minutes will oversee content partnerships, events and panels, media relations, and content contributions from influencers and celebrities. Four staffers will work on the account, including chairman and founder Howard Bragman, he said. As 20 states consider pot-legalization measures this November, the firm will help the website maximize its impact, Bragman added. Recreational marijuana laws passed in states including Washington and Colorado have also opened up a new front of communications opportunities for advocacy groups and local governments as they educate the public and debunk stereotypes about marijuana. "What’s important is that Civilized is able to serve as an aggregate for people in support of cannabis culture, and we are able to amplify what the website does," Bragman said. 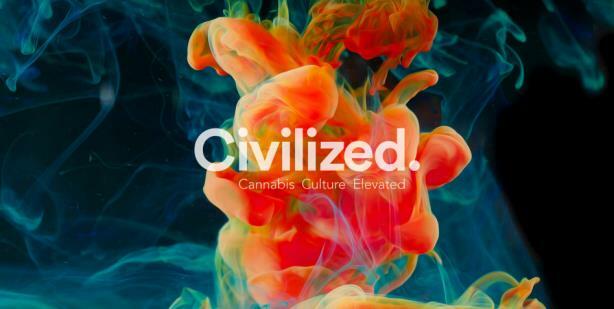 Civilized’s goal is to "elevate" the public dialogue about cannabis culture. Its team members are located in Los Angeles and Saint John, New Brunswick. Bragman was tight-lipped about the firm’s plans for rolling out a campaign, saying only there is ongoing outreach and meetings. "This is a relatively new account with opportunities for crossover with pop culture, so we’re reaching out to the entertainment industry," he added. "We plan to do traditional earned media along with a wide range of activities, but the work we do will evolve. We plan on using every weapon we have to let people know there’s this great website out there." Mitchell Fox, former publisher of Vanity Fair and former group president of Condé Nast, joined Civilized’s board of directors in March. He’s also a board advisory member for Viridian Capital Advisor, which handled Civilized’s second round of investment. Based in New York, Viridian exclusively handles work for emerging companies in the cannabis industry, which is expected to hit $4.2 billion in value by 2018, according to the Marijuana Business Factbook. "I love PR and I love the life I’ve lived in this business for 30 years," Bragman said. "I’ve been in the same room as Stevie Wonder playing piano, ridden in race car with Mario Andretti, and smoked a joint with Timothy Leary. I’ve embraced cannabis culture for 45 years of my life." This story was updated on August 4 to correct the budget.